Panda Antivirus pro 2012 gives you advanced security from the threads that will affect your computer.Most of the antivirus having the problem of affecting the performance of the computer .Unlike those Antivirus Panda Antivirus pro 2012 will work on your system by using lesser system resources.Unlike the previous versions of Panda Antivirus, Panda Antivirus pro 2012 has a greatly optimized installation process which will take only less time to install in your system. As the part of promotion , the Panda company is giving away the Panda Antivirus pro 2012 for their facebook fans with a license validity of 6 months or 180 days.If you are trying to buy a Panda Antivirus pro 2012 with a one year license it will cost you about $40.99 for one year. Wait for one minute it will load a new window.If nor loading refresh the page. Now a image will be appeared with the download link. Click on the image and download the Panda Antivirus pro 2012 for free with 6 months license. 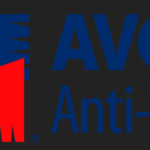 You don’t want any key to activate this antivirus.It will give you full version of Panda Antivirus pro 2012 for six months. If you are having any trouble in the above steps you can use the below link for direct download. whether this antivirus or kaspersky is good? panda antivirus is a nice application to prevent from malicious codes,viruses,malware,its nice that here is a chance to download its pro version. My computer has only 512 of ram i think panda needs 1GB of ram but for me that is the best antivirus because it has a rootkit , adware, spyware and malware proctection. I have an expired Mcaffe anti virus, this Panda anti virus is new to mebut I guess with your recommendation its worth a try. Thanks for this Software I have searched a lot but ultimately reached to this page. Dear Today I have spended more time in Exploring your website and you have a good contents.